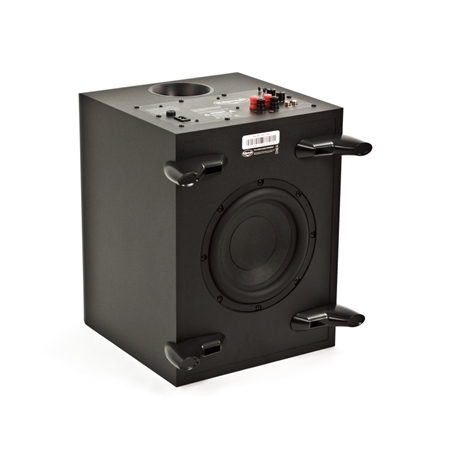 When it comes to adding deep driving bass to your stereo or home theater system, our SW-350 subwoofer is ready to take on all the heavy lifting. After all, this intelligently designed powerhouse lets you hear -- and feel -- your music, movies and video games. 8-inch driver produces amazing bass response with low distortion and outperforms some 10-inch subs! Great sound begins with a great bottom end. The SW-350 subwoofer delivers the two lowest octaves of the ten humans can hear intensifying your listening and viewing experiences. The SW-350 fills any room with big clear bass thanks to its powerful 8-inch driver and Class D amplifier. But if you really want to experience what this hard-hitter can do be sure to place it in the corner of your room. 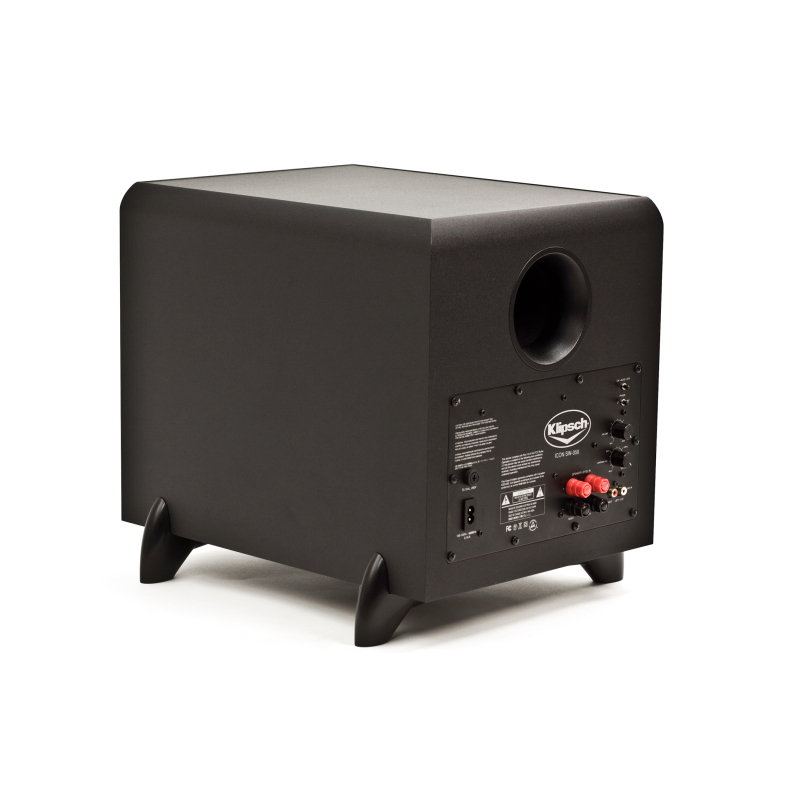 In general placing a subwoofer along the middle of the wall or out in the room will decrease its output. In addition to its unparalleled performance the SW-350 offers unmatched flexibility. 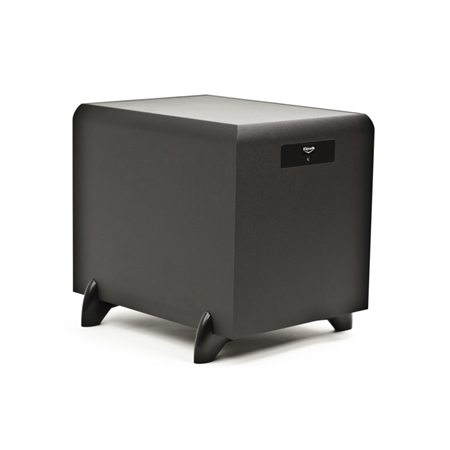 A low pass crossover and variable phase control lets you effectively blend the subwoofer’s low-frequency tones with other Klipsch speakers as well as establish a level of bass that’s just right for your room. 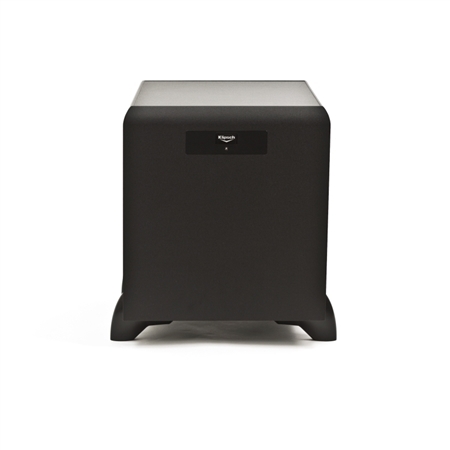 The SW-350 subwoofer is truly the way to go if you’re building your dream system; in fact it’s the perfect partner for the Quintet home theater system.